The Surefit Harness by Premier is designed for maximum comfort & adjustability. 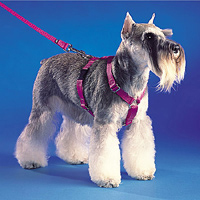 It is adjustable in 5 ways to give your dog the best fit. This harness has a special no-choke design with easy on and off double shoulder snaps. It can also be used to help restrain your dog's movement for his safety and yours while you drive. 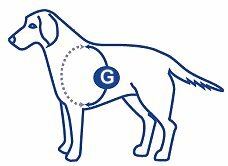 To select size measure dog around girth and choose appropriate size.